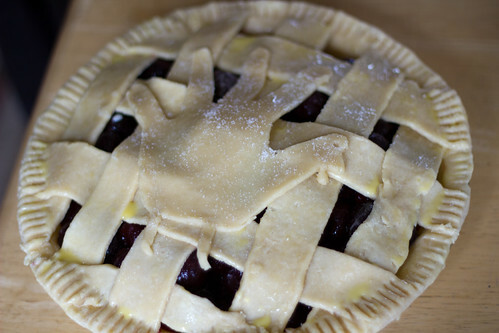 I should like cherry pie. It’s ok, you can call me crazy. There are just some things I cannot like. No matter how sweet and pretty they are. Don’t worry, I’m not trying to sell you on something mediocre! I’m told this was an excellent pie. The bite I tried was…cherry pie. If cherry pie is your thing, this one shouldn’t disappoint. It has a nice balance of tart and sweet, decadence and simplicity. 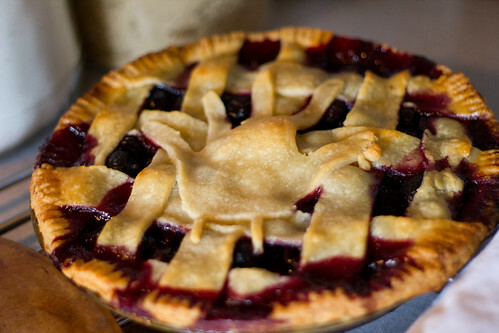 But man, it’s still…cherry pie. 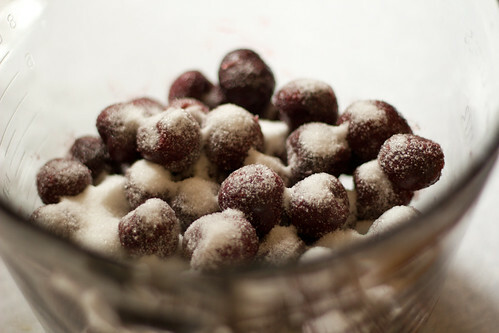 In a large bowl, combine cherries, sugar, lemon juice and cornstarch. Toss together until all the cherries are covered. Roll out one pie crust, and place it in a 9 inch pie pan. 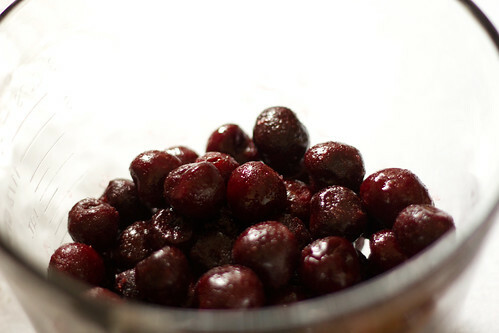 Fill with the cherry mixture. 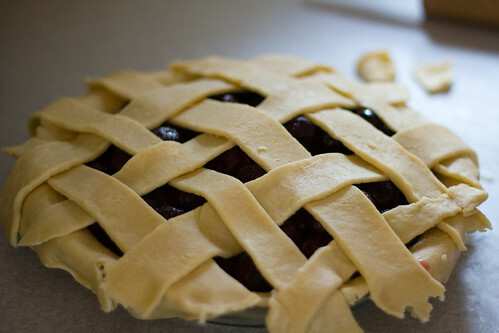 Roll out the other pie crust and top, crimping the edges together to seal. (If you don’t want to mess with a lattice top, I don’t blame you! Just make sure to cut slits to vent the steam) Brush the top with the egg wash, and then sprinkle sugar on top. Bake for at least an hour, and as much as an hour and a half. Cover the edges of the pie with tinfoil after a half an hour to prevent them from getting too brown. You will know the pie is done when the top is golden brown and the filling is bubbly. Allow the pie to rest at room temperature for several hours before serving. It’s even better (I’m told) the next day, so if you have time, make it a day ahead and store in the refrigerator until ready to serve with vanilla ice cream or whipped cream. 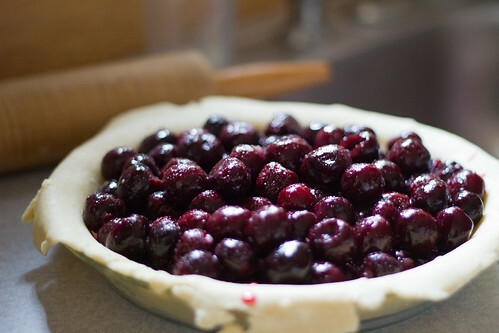 cherry pie is one of the only pies i can stand :0) i’ll try this when i move my oven back to where it belongs!